Without rubbing a reader's face in it Isabel Allende's stories teach valuable lessons about tolerance and understanding. Far too often adventure stories set in places like Africa or other exotic locales feature Western heroes who have to overcome various challenges in order to achieve their goal. If the people who live in the area play any role in the proceedings it's either in the guise of savage natives who mean them harm, or simpletons who have to be led by the hand in order to get anything accomplished. If anything is said about their belief systems it is either represented as superstitious nonsense or some sort of black magic. One of the things that impressed me the most reading City Of The Beasts by Isabel Allende was the way in which she depicted both the peoples, and their beliefs, of the Amazon rain forest. While some of her characters might have spouted the usual lines about dangerous savages, Allende made every attempt to counter that view in her descriptions of them and their behaviour. Her two central characters ended up spending time with one particular group of indigenous peoples and through their eyes we learned about their society and beliefs in as real a way as possible. Therefore I was interested to see what she would do with the same characters when she transported them to Africa in Forest Of The Pygmies, being published in a brand new edition by Harper Collins Canada in their Perennial Editions imprint on November 3, 2009. It's been a couple of years since Nadia and Alexander shared their first adventure in the Amazon, and in the interim Nadia has moved from South America where she was born to New York City to live with Kate, Alex's grandmother, so she can go to school. With Alex still living in California with his parents they don't see each other any more than they did before, but they have stayed in constant touch via e-mails, and their friendship has grown far deeper than is usual between a teenaged boy and girl. When Kate receives an assignment to report on a new type of safari being offered to tourists in Kenya by the wildlife magazine she writes for, she and the two young friends are already overseas, so she makes it a condition of her acceptance that they accompany her. Initially the trip appears to be rather tame in comparison to their previous times travelling together. The new safari is adventurous enough, as it has the tourists being ferried around by elephants, and allows them unprecedented access to the wild life of the great plains, but its relatively safe. All of which makes the warning Nadia and Alex received from a Voodoo priestess to never separate lest they face death at the hands of a three headed ogre prior to beginning the safari all the more incongruous. The only danger they encountered on the safari was from a troupe of mandrills who trashed their camp after breaking into Kate's store of medicinal vodka. However, fate in the shape of a missionary searching for missing companions changes their plans just prior to their departure from Kenya. Agreeing to help Brother Fernando in his quest results in the airplane they were travelling in crash landing deep in the jungle at a spot near where he claimed his fellow missionaries had established a mission. It turns out that the closest village is ruled by a couple of army officers who have established their own personal fiefdom. They controll the local population of pygmies and Bantu tribes people through threats and violence. By holding their women and children hostage, King Kosongo and commandant Mbembele, force the pygmy tribesmen to carry out illegal hunts for elephant tusks which they in turn sell to smugglers. It soon becomes obvious that the missionaries Brother Fernando is searching for were murdered by the two despots. When Alex, Nadia, Kate, and their companions are made "guests" in the village they realize the only way they can save themselves is if they can convince the locals to rise up against their rulers. Alex and Nadia manage to escape the village and join up with a hunting party of pygmy men – they have a day within which to capture an elephant or their children will face reprisals. The challenge for Alex and Nadia is to find a way to help the men regain their confidence sufficiently to be able to stand up for themselves against their enemies. As in the earlier book, The City Of The Beasts, Isabel Allende has her heroes find the answer by learning about the people they are trying to help. The pygmies are ancestor worshipers and believe in the power of the spirit world. Alex and Nadia spend a night in their burial grounds in an attempt to communicate with those who have gone before in order to find the means to restore the people's pride and sense of self. While the experience they have may border on the supernatural in some people's eyes, they learn not only about the pygmies, but gain a deeper understanding of their own fears and aspirations. Even with the knowledge they gain through this experience the adventure is far from over, but just as important is the fact that Allende is opening the minds of her readers to the possibility that there are more ways to look at the world then the ones we've been taught. Knowledge can be gleaned from places other than books and the Internet, and simply because people look at the world in a different way than we do, doesn't make their view any better or worse, just different. Through the experiences of Alexander and Nadia readers learn of the diversity of beliefs and the multitude of wondrous ways which people have of seeing the world. 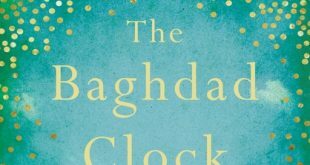 Not only has Isabel Allende written a novel that works as a rollicking adventure story for young people, but she manages to present as balanced a view of the world as you'll see in any work of fiction. Without making it obvious, or rubbing a reader's face in it, her stories teach valuable lessons about tolerance and understanding. The new Harper Perennial editions of the work include interviews with the author and a reading guide to help increase appreciation for the story. If you missed out on Forest Of The Pygmies in its previous editions, these enhancements make it the perfect time to pick up a copy.